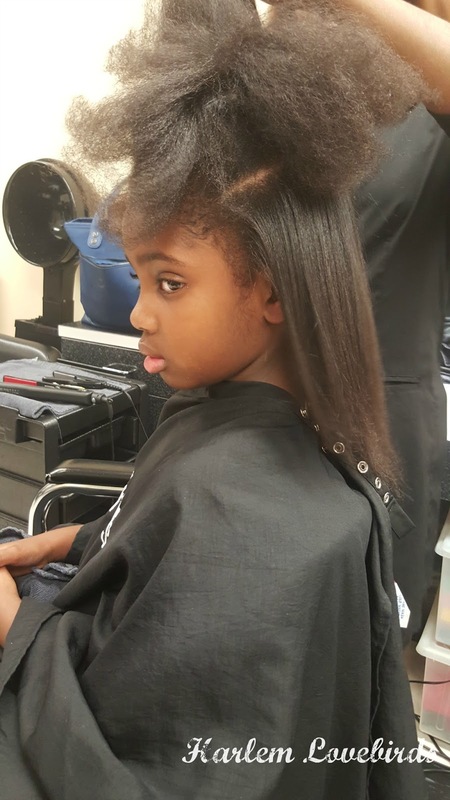 Wednesday's post and a few others from my Instagram feed in December shared a peek of Nia with straight hair. She's 5 years old and her hair is natural like mine. She's watched me change my style over the years and while she's been curious about how I style my hair, she's always been sensitive about actually having her hair done, even when brushed as an infant. 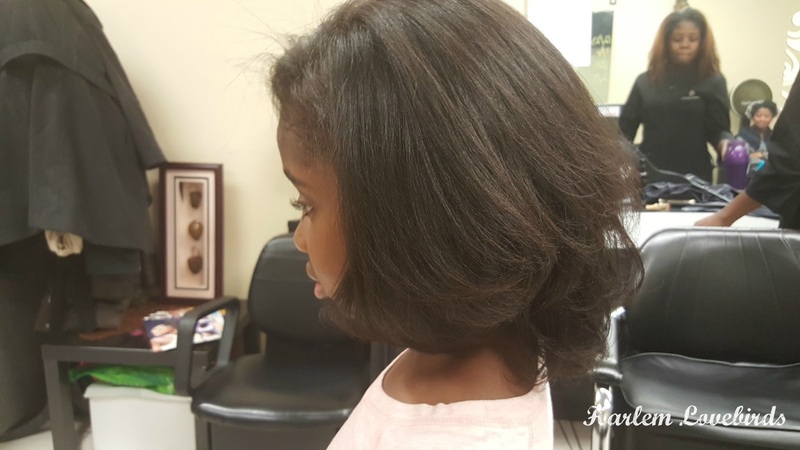 Now is no different, so I was nervous when she asked last year to have her hair "flatted." When a fellow Wellesley alum here in New Hampshire suggested Simply Erinn's in Cambridge, MA I went for my own appointment, saw young girls getting their hair done, inquired about an appointment for my daughter and was left feeling confident so I booked her an appointment in time for our family's Thanksmas trip to Texas. 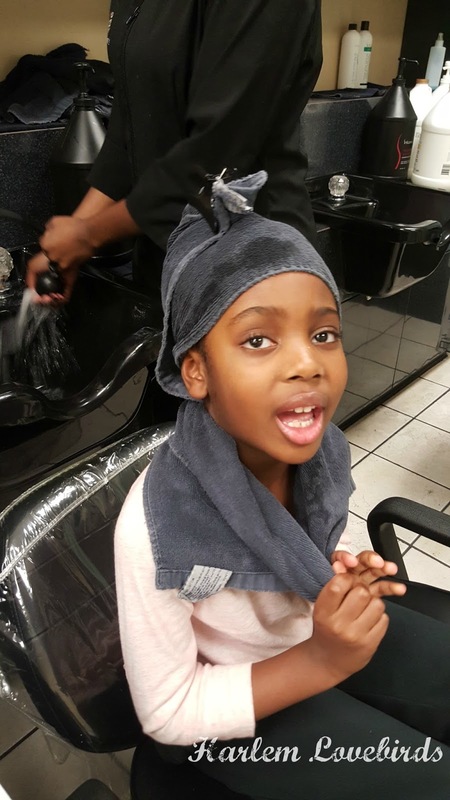 It would be Nia's first salon visit (apart from just hair braiding shops) and her first trim - it was a big deal! 1. Encourage good hair self esteem - I learned early on not to use value-judgement statements when styling and discussing Nia's hair and my own. We don't use phrases like, "good hair" or "nappy." All hair is "good hair," and we've emphasized this with books as well such as I Love My Hair. Uka and I are in unison in the language we use to talk about hair as well as reiterating that beauty starts from within. And if anyone tries to start that labeling talk within earshot of Nia we shut it down! 2. 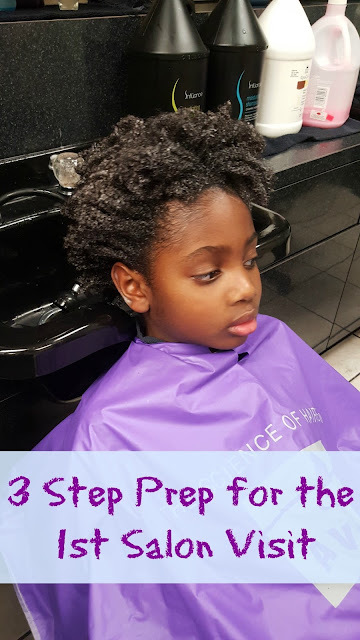 Utilize Technology - We watched YouTube videos together so Nia knew what to expect at the salon and talked through the experience in advance. Seeing girls get their hair done (without crying!) on YouTube also helped boost her confidence (we especially like GirlsLoveYourCurls). We've also scrolled through Pinterest together selecting styles that she might like. Keeping your child involved along the way helps them feel invested in the process and builds excitement! 3. Do your research on the salon - Getting a referral from someone I trusted was crucial. 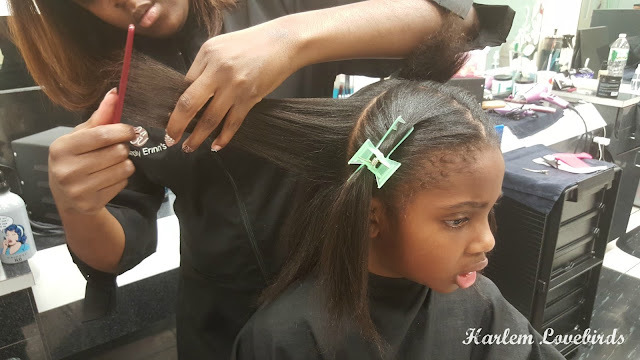 Ideally I would've scheduled simultaneous appointments for me and Nia as we've done that for hair braiding appointments in the past, but it was important that I at least experience the salon on my own before bringing her for her own appointment. Simply Erinn's has a thorough intake system with a questionnaire and assured me of what the experience would be like. As I mentioned above, I was able to see it first-hand during my appointment since there were other little girls getting their hair done while I was there. 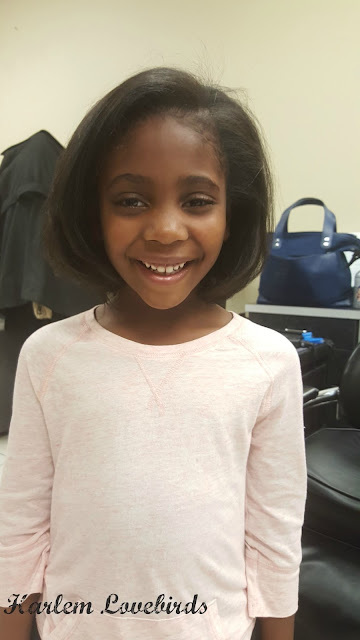 Another note on timing: after speaking with a my own stylists over the years I decided 5 years old was a good age for a first visit based on Nia's maturity and hair health. There really was no need for her to have a trim prior to 5 based on account of her hair growth, texture and maintenance leading up to then. Just know your kid and do your research! Nia was very brave and while a few tears were shed, they were nothing like what I'm used to seeing when she has her hair braided. When her appointment was finished she assured me that she'd like to return. Once a quarter is a good trim schedule for now, and we're coming up on that soon! Thank you Simply Erinn's for such a pleasant experience - I remember my salon visits as a child, and I know these early positive memories for major milestones set the tone for adulthood. Do you remember your first salon experience? Was it positive? P.S. A certain someone may have had leaky eyes upon seeing Nia's transformation! It was as though Nia went from 5 years old to 15 years old in one fell swoop, and it was a lot to process.